Carbondale, PA, January 18, 2019. Gentex Corporation, a global leader in personal protection and situational awareness solutions for defense forces, emergency responders, and industrial personnel will introduce the latest addition to its growing eyewear portfolio, Ops-Core Mk1™ Performance Protective Eyewear, at SHOT Show, January 22 – 25, Las Vegas, Nevada. 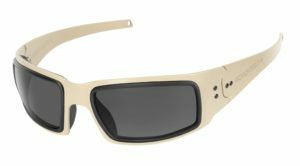 Manufactured in the USA, Mk1 eyewear was designed to meet the need for more ruggedized, mission configurable eyewear for elite forces. To deliver this unique solution, Gentex Corporation leveraged their over 50 years of experience in high performance optics manufacturing, and the fundamental design principles of their Ops-Core® brand; modularity, scalability, and user-driven design. Visit Gentex Corporation in Law Enforcement Hall Booth #8109. To learn more about the Ops-Core Mk1 Performance Protective Eyewear, go to www.gentexcorp.com/MK1.